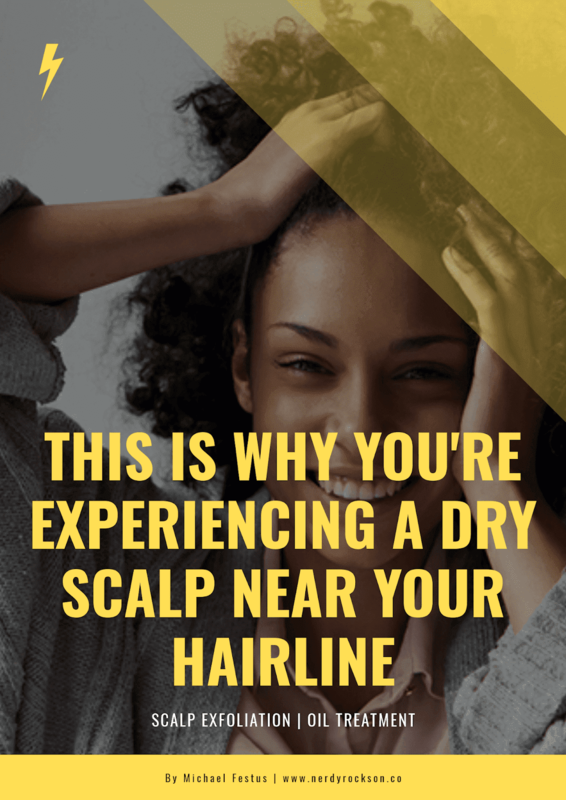 You may not remember when you first noticed how dry your scalp appeared at your hairline, but all you know is that it has got to go. 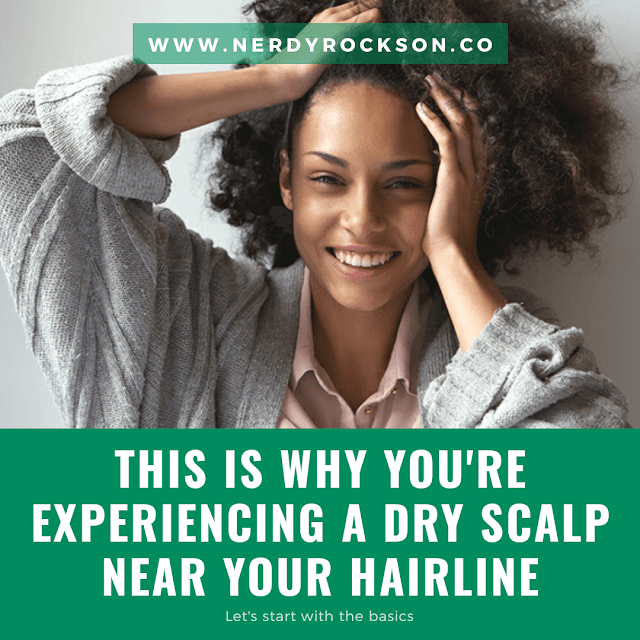 Dealing with a dry scalp on its own can be a hassle, but it can become more of a challenge when it's out in the open for everyone to see - like at your hairline. While treating this condition is great, it is even more important to find the cause of your dry hairline. Let's start with the basics. Have you checked your facial cleanser? Come on now. I can't be the only one who has washed my face and thought I did a great job at rinsing off the cleanser, only to find out I left soap near my ears and hairline. What you cleanse your face with has a lot of impact on how your hairline behaves. If your facial cleanser is full of drying chemicals, your hairline could pay the price. If you notice white residue on your dishes, chances are good that you live in an area with hard water. Hard water can negatively impact your hair in several ways, and causing dry scalp is one of them. Many women have noticed improvements in their scalp after using a water softener, or including distilled water into their hair care routine. Adding a bit of oil to your scalp won't properly moisturize the area. While some people use a three-step process, like the LOC method, but I like to make it simpler. Next time you find dry, flaky skin near your hairline, spray on a liquid first (water, leave-in conditioner, etc.) and then follow up with an oil or butter to seal in that moisture. Also, many times we focus heavily on moisturizing our ends (because that's what we're told to do), that we neglect our scalps all together. Some curlies may never need to add moisture to their scalps because they may produce enough natural oils. If you don't fall into this category (don't worry, I don't either), then be sure to moisturize your scalp as needed. If you just recently began using a new line of hair care products, it could be the reason behind your dry hairline. Sometimes, detergents in shampoos can have a negative reaction with your skin, causing dryness and irritation. Also, be sure you are thoroughly rinsing your hair of shampoo before moving on to the conditioning process. these ingredients, as they can contribute to your dry scalp. Those super sleek buns, ponytails and braids may be cute, but many times they pull on the hairline very tightly. Not only does this lead to hair loss, the tension can lead to breakouts and dryness in the area. When sporting these hairstyles, keep your scalp in mind by not styling too tightly - especially around the hairline. Think of exfoliating your scalp as a step above your normal cleansing routine. Using a combination of oils and sugar, you can remove product buildup while providing moisture to your scalp. Check out Healthline homemade remedies here. If you are for certain that your issue is a dry scalp at the hairline, and not dandruff, you might want to give oil treatments a try. This extra, but quick step in your wash routine can boost moisture levels in minutes. Once you have cleansed and conditioned your hair, apply your favorite oil directly to the area using a bottle with a nozzle tip. I recommend oils like olive or jojoba. Let it sit for a few moments before rinsing. You can then go on with your normal wash day routine. If you feel as if you have a chronic condition, it would be a good idea to get some one-on-one attention. Visiting a dermatologist or trichologist will give you the opportunity to have en exam where they can help pinpoint the problem and offer solutions.